Buy 5 ore more and save! A Unique Contribution for Hajj! 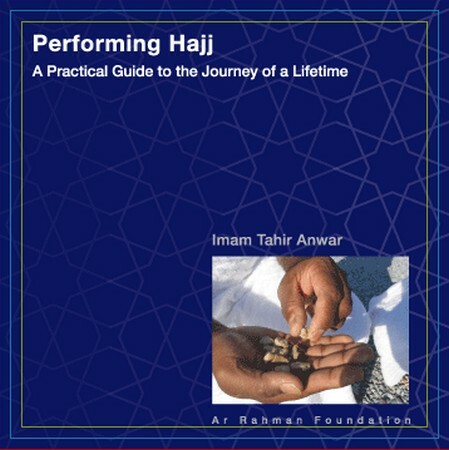 IMAM TAHIR ANWAR was born in London, UK, and moved to the San Francisco Bay Area in 1983. His initial studies of the Qur'an and Arabic language were completed under his father, also a scholar of Shari'a. He continued on to memorize the Qur'an and study traditional Islamic sciences at Darul Uloom Falah al-Darayn in Gujarat, India. His studies specifically included tajwid (according to the Qira'a of Imam Hafs) Hadith, Tafseer, and Fiqh. He received formal authorizations from his teachers. Currently, he is serving as the Imam and Director of Religious Services at the South Bay Islamic Association in San Jose, California.